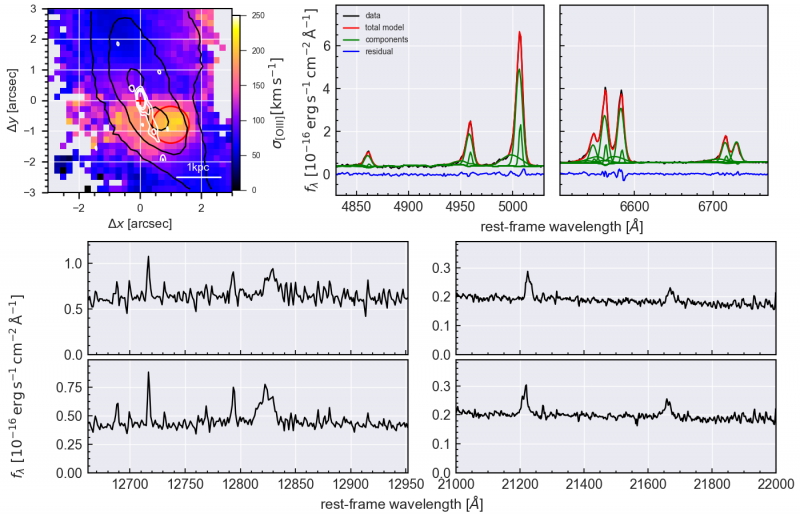 AGN are known to exhibit powerful outflows in the ionized gas seen as blue wings in the [OIII] line profile. Those asymmetries are virtually present in nearly all AGN and the line shape properties seems to be correlated with AGN luminosity and other AGN parameters. With CARS we measure the size, kinematics and structure of those ionized gas outflows using the 3D data in a statistically meaningful way. Combining both technqiues allows us to pin-point the spatial location of the broad-wing [OIII] component with respect to the BLR on a few 10pc scales and trace the large scale signatures of outflow gas across the host galaxies. This will provide a complete picture how the ionized gas is expanding including information on inclination angle, and correlations with AGN parameters. One key diagnostics is to infer the energy transfered from the AGN to the outflow. One big unknown is the gas density of the outflowing material. With the deep MUSE data we are obtaining estimates of the gas density from the [SII] emission line doublet to better contrain the gas mass and hence the mass outflow rate and kinetic energy. Those will be compared to literature results and theoretical outflow predictions.